When you are getting bids for an arbor or deck, do you have a good idea how much a fence or tree house should cost? Do you know what you are paying for and where contractors sometimes cut corners? To help you be well informed and hire the right builder, I've outlined below what you should look for in an estimate and contractor. My design guides and price ranges (see arbors, decks, fences, gates, treehouses) give you a good idea how much your custom wood arbor, pergola, patio cover, fence, gate, deck, or tree house should cost. Many homeowners have little experience dealing with contractors and have no idea of what they should budget. So they often use the estimating process to get a feel for what their project will cost -- instead of learning what they can get for the amount they want to spend. And this 'fishing for a price' is what drives contractors crazy, wasting their time and resulting in lots of call back problems ... because builders try to avoid investing time in clients who will never purchase from them. So doing a little homework here is worth your time. Most custom built projects fall into ranges -- from basic designs, to custom designs built by craftsmen and the more expensive high end designs. Knowing what quality/complexity price range fits your budget can help you decide what type of builder you are looking for. To help you get a feel for what your price/quality range is, I have included definitions in the links above, a pricing section in my portfolio pages and starting or per foot prices for 50+ projects in my portfolio -- just click a photo to see the detailed page. So, now you can have a good idea of the the price range of the structure you want built before you call for estimates. And naturally, if you can not afford a builder, save yourself both time by not calling and requesting an estimate you will never approve. So, now that you know what your are looking for and have a clear idea of your budget, it is time to try and find the right builder for you. That starts with personal recommendations, some online research and defining the design and building criteria for your project ... before you call for an estimate. First, I think giving estimates is part of the basic services of a contractor, and so all my estimates are free. I would be wary of someone who wants to charge you for spending half an hour to give you a bid. I also recommend that you make sure you are dealing only with licensed and bonded contractors. This ensures that they have passed a basic test about their specific trade and, more importantly, it gives you a way to check on them. To verify the status of a California contractor, just find out his or her license number (it should be included on every piece of marketing) and visit the The California Contractors State License Board page and enter the number. My California Contractor license number is 701028 and it appears at the bottom of every page on my web site. You also want to make sure that you give the same project description and building requirements to each person working up an estimate. Often homeowners find they learn something from each person they talk to, so the design and requirements change or evolve. The end result is that, even though the estimates sound like the same building project, the first estimate may not reflect the project estimated in the last one. So, you want to make sure that every contractor is bidding on building the exact same project and that the details are the same: materials, size, location, use, and style as well as less often talked about things like how long it will take to build and what kind of maintenance it will require. It is also important to have every person who will be participating in making decisions or paying there for the initial meeting. This allows everyone to be involved early ... so everyone can have input into the design concept, voice their design vetoes and evaluate the potential builders. Even if your neighbors are not paying for part of the project, if it involves their property line or view, it is a good idea to include them in the discussion so their concerns can be addressed early. It can get costly retrofitting a design in the middle or end of building to keep peace with the neighbors. Finally, before you start getting estimates, it is essential to have a good idea of what your project should cost and the price range (basic, custom or high end) you are interested in. Then get estimates from the contractors or handymen who can build in that price range. Already knowing the ballpark price for a project saves you and the contractors you call a lot of time, frustration and headaches. Knowing your price range lets you red flag builders who are overcharging you by submitting very high bids or giving you an unrealistically low bid to get your business. It is also good to know ahead of time your ideal budget range and your maximum number. Why? Because for many homeowners, this is the first time they have the opportunity to have something truly custom built that reflects their personal tastes and preferences. Once the ideas start rolling, it is easy to come up with design concepts that far exceed what you really want to spend. Having a solid budget and communicating it helps keep everyone's feet on the ground and avoid design options that lead to sticker shock. For example, the choice of wood can double the cost of a project. Reputable professional builders can work within a budget and give you options and discuss trade offs based on how much you want to realistically spend. All the estimates you get should be put into writing and include enough detail so you know exactly what you are buying. I think getting a detailed estimate is preferable to a generic invoice form quickly filled out with the minimum of information. So all of my written estimates include a lot of detail about the type of materials I use, including the grade of wood. I also usually include a "letter of explanation" that describes how I am going to build your project and the construction details that will make your project last longer. finish details, special requests and add-ons like demolition and removal of existing structure, upgraded hardware, built-ins, and staining. Review all the bids to make sure they all describe the exact same end product. Usually homeowners make sure the overall dimensions are the same, but may miss subtle differences in the special requests which some builders may not have included. If these are added later as "in progress" work orders, change orders or "add-ons", you may end up paying more for them than if they were included in the original estimate. Sometimes the additional cost reflects valid costs by the contractor who may have to spend time making a special trip to purchase more materials or pay a restocking fee for returned materials. However, this is one area where contractors who have underbid the project to get your business can now recoup their losses or inflate the profit they can make on your job. Although you may never see it -- the substructure or frame is the most important part of your structure. Why? Because how well it is built will determine how long your project will last. Poorly constructed frames can cause your deck to wobbling or sink, your gate to sag and not close properly, your arbor to sway and your fence to lean. And, unfortunately, because the client rarely sees it, this is where some contractors cut corners. The first thing to look at is what type of wood is going to be used, and the number and size of the beams or support posts. The substructure or frame should be made from wood that is well protected from the elements and will last a long time. The beams or posts need to be strong enough to stand up to years of use. So you want to make sure that your frame is built with not only enough, but that the right size is used. Why is the size important? Because larger beams and posts cost more -- so a contractor can keep his material costs low by using undersized or minimum size framing materials. The framing hardware is also important, since this is what anchors your wood beams and posts to the ground, holds the cross beams together and keeps your structure upright and wiggle free. Steel brackets and ties hold the cross members in the right position for years, and add strength and rigidity. Finally, the construction techniques that bring all these elements together can have a big impact on the life of your structure. You want a strong foundation for your structure, so your frame should be built on solid foundations. 2) How many beams and posts are being used and what size are they? Since this is what the client will see every day, this is where estimates provide the most detail. Again, you want to compare the type, grade and size of wood used, as well as the hardware, and construction details. For a long life, you want to have a rot resistant wood (such as Redwood or Cedar), a hardwood (such as Red Balau) or a low maintenance wood composite (such as Trex™). Soft woods (such as douglas fir or pine) are often cheap alternatives that do not last long when exposed to the outdoor elements and termites. Just as important as the type of wood is the grade and quality of wood used. Cheaper grades cost less, so it is easy for a contractor to underbid a project by planning to use a lower grade of wood. Often, these lower grades feature more knots, uneven color, and less inherent protection from the elements. (See my wood selection guide for more information on wood grades and why they are important.) The quality of wood also varies greatly, and selecting from the top of the pile may be fast and easy but undermine the functionality and life of your structure. For example, loose knots make a board weaker when they eventually fall out and do not look as good. The white streaks in redwood are called "sapwood" and lack the natural resistance to termites and rot that the red coloring in redwood provides. Cracks, warping, cupping and other imperfections in your wood all effect the final quality of the project. It may be faster, but taking the top boards in this instance means you would be using redwood boards that have little or no "red" heartwood. So the few minutes saved by taking from the top of the pile cost you a year or two in the life of your fence or gate. Next, you want to evaluate the construction techniques used for this part of the project. The use of the right hardware (screws, brackets, adhesive) and techniques (notched beams, removable panels for maintenance) can have a big impact on the final look of your project. 1) What type, grade and quality of wood will be used? 2) How will the wood be selected and what are the criteria for rejection or selection? Will the selection be by the pallet or will every piece of wood be individually evaluated? 3) How will the visible part of my structure be put together? Will nails, screws, brackets or a combination be used? What will they be made of? The final look of your project is often created with the finish details which give you a unique look. However, these can also require more time and materials and lead to a big price difference in your estimates. For example, the difference between building a straight picket fence or one that curves seems small on paper. But it takes substantially more labor to create this more sophisticated look. Having custom picket ends cut to match your existing porch railings or house trim sees small until you multiply the time required to cut each by the number of pickets (usually 100+). So look to make sure that each bid is giving you the same details that will give you the final look you want. These include finials and caps for posts, accent hardware, and assembly techniques such as notches, insets and rounding or radiusing of edges. In addition to the details, you want to make sure all the bids include the same special requests you have made. For example, you might want a special feature like a removable panel for maintenance, heavy duty hardware for gate latches for a high traffic area, a more complex deck board pattern, decorative end beam cuts to match your house or an additional arbor tier to increase the visual interest. If each estimate gives you a slightly different quote, you could struggle trying to compare apples to oranges to bananas. 1) Do all the bids call out the same hardware and finish details? 2) Do I need to get an updated estimate to be able to compare "apples" to "apples"? As you can see, there is a lot that goes into an estimate. But the bottom line is what your project is going to cost you. Unfortunately, unlike buying a car, there are no posted "sticker" prices for designing and building custom wood fences, decks, arbors, gates and tree houses. So many homeowners are left wondering if they are getting a good deal or being overcharged. 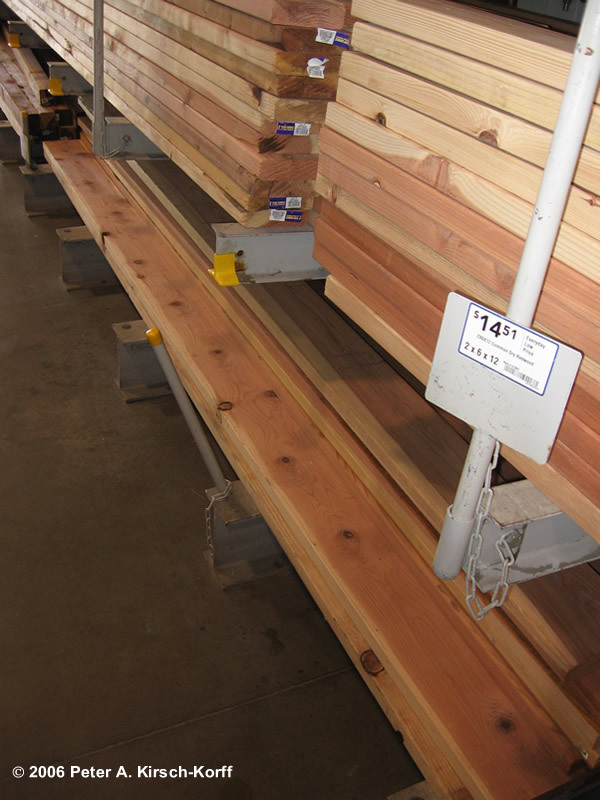 Since most contractors purchase materials at the same lumber yards, major differences in estimate prices reflect either cheaper materials, lower labor costs, or lower profit margins. A cheaper estimate does not always imply poor quality or materials -- however the adage of "you get what you pay for" does apply. For example, lower labor costs could come from using a crew of lower skilled workers who are paid less. If they are working for someone who has a high quality standard, you still get a great fence or deck. But if the lower labor costs come from skipping steps that will ensure a long life -- that will affect the overall look and life of your wood project. The same idea applies to the materials. For example, if the material prices vary more than 10% - 20%, chances are the estimates are not based on using the same grade, quality and amount of materials -- or the prices reflect hidden profits. One cost homeowners rarely factor in but are all too aware of is the cost of their time in dealing with their contractor and the impact of the length of construction and having builders on-site. When looking at the estimates, you also want to look at the total cost of the project. 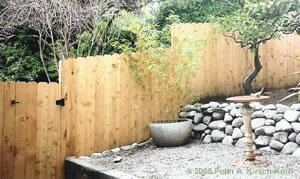 Often, demolition new landscaping and painting will be additional costs that do not show up on the builders estimate. 1) How do the estimate prices compare -- are they close or do they vary widely? 2) Where is the difference in prices coming from? In the lower cost estimates, what am I not paying for? In the higher cost estimates, what am I paying more for? 3) How much time will I need to devote to interacting with the contractor and on-site builders? 4) How long will construction take and what will the impact be? 5) What is the total cost of the project when all the related costs are included? Do any of the estimates reduce the related costs?